The Click Museum is a place for treasured classic games made with Klik & Play, The Games Factory, Click & Create and Multimedia Fusion. Do you think we are missing any key classics from our Click Museum collection? Let us know in the comments! We are especially interested in hearing why you think the game is a 'classic'. Is it because it was an early game that became a cultural touchstone? Did it inspire you to make your own games? Was it just really fun? No need to be shy - nomination of your own games is fine if you think they meet the criteria so long as you let us know that you were involved in the game's development. We would also like to hear from developers behind games in the museum: Why did you decide to make the game? What was it like to develop the game? Was there any notable difficulties that you faced or neat tricks that you used? Were you inspired by other Click games? What did you make of the reception of the game then, and what do you think of the game now after all this time? It was delayed slightly because Steam doesn't like releases on Sundays, but Clickteam Fusion+ DLC has now been released! The price has also been revealed at $59.99 USD but will be on sale for the first two weeks for $49.99 USD (around £40). Fusion 2.5+ is an add-on, so you will need to already have Fusion 2.5. Based on what Clickteam have said (see below) the fact that this is released is a paid-for add-on is due to a combination of Fusion 3 being some way off and Fusion being on a purchase model rather than a subscription model. Because Fusion 2.5+ is an add-on Fusion 2.5 will still get updates like bug fixes. There are a number of features I've not detailed on my previous Fusion 2.5+ posts, including the ability to define up to 260 named alterable values and strings per object (compared with 26 for each previously). As noted in the comments section of the previous post the child events system was one which was originally discussed as part of the Multimedia Fusion 2 private beta and was subsequently touted as a feature of Clickteam Fusion 3. Speaking of Fusion 3, Clickteam recently stated in a Facebook post that they "are still working hard on Fusion 3 but due to some delays due to change in staff and some other factors, it will be some time yet". A recent Clickteam forum post from Clickteam's UK Manager Simon Pittock responds to queries about the console exporter service by stating that: "...Clickteam needs to earn realistic profit for the amount of development time we expend, in order to drive the Fusion 3 line (and Fusion 2.5 / Fusion 2.5+ / exporters) hard with heavy investment in new developers and resources...Users very loudly said "NO" to subscription model so we have to realistically balance revenue streams to ensure that along with being accessible, Fusion 3 makes more money and drives the company forward." 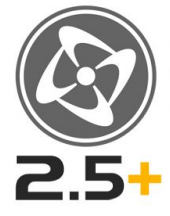 We noted back in January 2019 that Clickteam were working on both Fusion 2.5+ and Fusion 3. Since then we have no heard much about Fusion 3, but we have had two blog posts detailed some of the new features in Clickteam Fusion 2.5+. In their Fusion 2.5+ Sub Events blog post, Clickteam talk about how their introduction of 'child events' makes it easier to develop and maintain your game 'code'. The Sub-events blog post also contained another bit of information... a release date announcement! According to Clickteam: "You will be able to get your hands on it by the 31st March 2019". We are still waiting on a price announcement. Happy New Year everyone! Hope everyone is having a great 2019 so far. And a big thank you to Joshtek for keeping the site alive also. And look at this we have a new game for you today! BigAl0104 created a very well made Platformer that needs to be checked out. It is called Space tyranny and is well worth your time. Comments from the creator:The game has you take control of Terabotron in a Metroid-style environment where you have to find the way inside the core of the Zirgol planet by collecting item upgrades along the way that will help you progress through the planet. Click here for more info, pictures and the download link. It has been one year since Chris Perry (AKA Chrisbo) passed away, but this beloved member of our community has certainly not been forgotten. 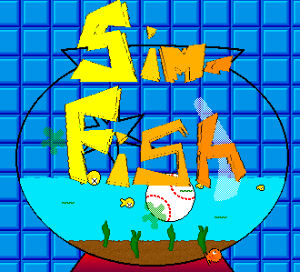 A 32-bit version of Chrisbo's Sim-Fish game has now been added to the Klik Museum. Clickteam have announced Fusion 2.5+, a paid DLC upgrade for Fusion 2.5 that they anticipate will be released before the end of March 2019. As part of the same State of the Fusion Address where this was announced, Clickteam also provided an update on Fusion 3 and provided assurances that Clickteam would continue to support Fusion 2.5 for a long time after Fusion 3 is released. Christmas comes but once a year... which actually adds up to quite a lot of Christmases, really. We are now celebrating the 25th Christmas since Klik & Play was released in 1994, which means we have had quite a few Christmas-themed games made with Clickteam's tools. 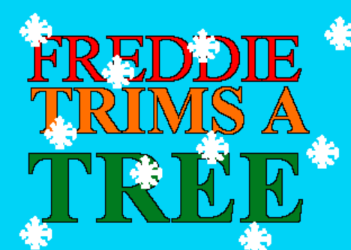 One of the first Christmas games I ever played was Freddie Trims a Tree, a point and click adventure game which Philip Williams started working on in Christmas '95 and finished in Christmas '96. With permission of the author I have now ported this to Fusion 2.5 and added it to the Klik Museum. Description: "This is a Christmas game I made on Klik & Play. It is in the Sierra Adventure game style (Like Kings Quest, Space Quest, etc.). You're a Fox named Freddie. You walk from screen to screen finding objects and using them. The goal is to decorate a tree for Mrs. Wolfington." As someone who used to share a computer with his siblings, free multiplayer games which could be played on a single PC were a real treat. Funny Furries 2 XMAS Edition is a 2-player platform-based beat-em-up game made in Click and Create by Bastiaan De Jong (BdJ Entertainment) in 1999 and my family definitely enjoyed this festive frenzy. The Daily Click have run a number of Christmas competitions, and the first Christmas with Multimedia Fusion 2 brought us the 2006 classic Merry Gear Solid: Secret Santa, a fun action game created by Arthur Lee (Podunkian). Description: "Merry Gear Solid: Secret Santa is a top down stealth action game in the vein of Hideo Kojima's Metal Gear Solid series. It's grid-based as it was entered in the Daily Click Grid-Based X-mas game competition. Use distractions and tools you find around the level to distract and get past any guards that are you in your way. 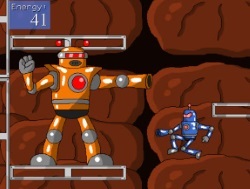 The game is relatively short, taking around 10-20 minutes to complete. The story is related to the Metal Gear Solid series' plot so if you haven't played those games, you might be kind of lost". Its sequel is Merry Gear Solid 2: The Ghosts of Christmas Past. What's your favourite festive indie game? Did you get any click tools as a Christmas present? Join the discussion and have a MERRY CHRISTMAS! Paint like a pro--gamer, that is! Here be Splotches! This is not a drill, I repeat, THIS IS NOT A DRILL. Indeed, TDC veteran admin OldManClayton has hit the big time! My sources (read "source) say his long time project of a puzzle game, Splotches, has had more that a few heaping helpings of TLC ("tremendous luxuriating colors" I'm sure in this case), and has graced the pages of both Steam and the App Store! That's right, you can now practice scientifically-reasonable color reaction theory (CRT) at home and on the go! It's probably the only brownsplosion you'll be happy to witness! Click here to find it on Steam or the App Store! P.S. I'm also told by my sources that an Android version is in the works! Competition time: Bizzy buzzy Buswick! The most splendiferous Old Man Clayton is running the last Buswick for a while. This year's theme is reduplication, which is the word for phrases like tick tock, pitter patter etc. I think the community should thank OMC for running this competition for so long and hopefully it will return after a well-earned break. Hats off to you my good sir! So get started on a super duper entry to this competition like a bizzy buzzy bumble bee! (obligatory reference to 1980s tat). Do you yearn for a click game with sprites created in MS Paint? 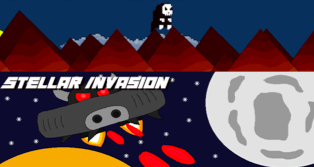 Well BigAl0104 has the answer with Stellar Invasion DEMO. Also, if you fancy throwing your controller in a Battle Toads rage quit style (I would say that any Mario game is far easier than Battle Toads! ), then check out Sterben. Also, remember you only get a Whoosh with a Wotsit! 237 users online now. Peak was 251 on 21/04/2019 13:01:45. Page took 0.0625 seconds to magically materialize. These pages and the opinions or information contained within are the creation of outside parties and do not necessarily reflect the opinions of The Daily Click or its administration. The Daily Click and all related administration cannot be held liable for damages or costs of any form that may arise that connect in any way with either internal or external content posted, transmitted, downloaded or made available through any other methods therein. These pages are only to be used for their intended use, and may under no circumstance be used otherwise. By downloading and/or viewing any content posted or contained within The Daily Click website, you automatically agree to abide by the aforementioned. An RSS Feed of the latest Daily Click news can be found by clicking below, Or if you have FireFox, try the Live Bookmark feature in the bottom-right of the window!